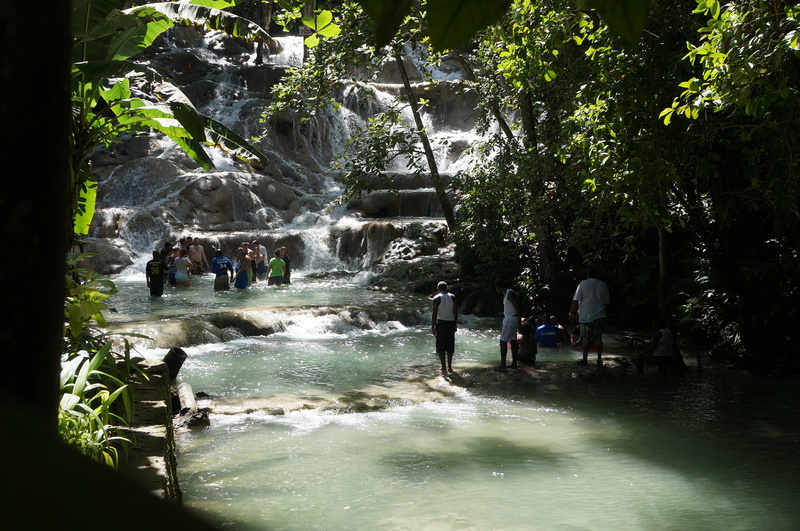 4 Reasons Why We Love Jamaica! It started with meeting a friendly face when I subbed at floor hockey. Daisy was playing too, and we got along right away – friend chemistry! We went on to play ultimate and softball together with her S.O Walter and mine. Fast forward, a few years and many bubble teas later – Daisy and Walter hand delivered the most creative save the date & wedding invite to us. A wedding in Montego Bay, Jamaica! Reggae’s birthplace along with Walter’s. We had to go, and we were so glad we did. 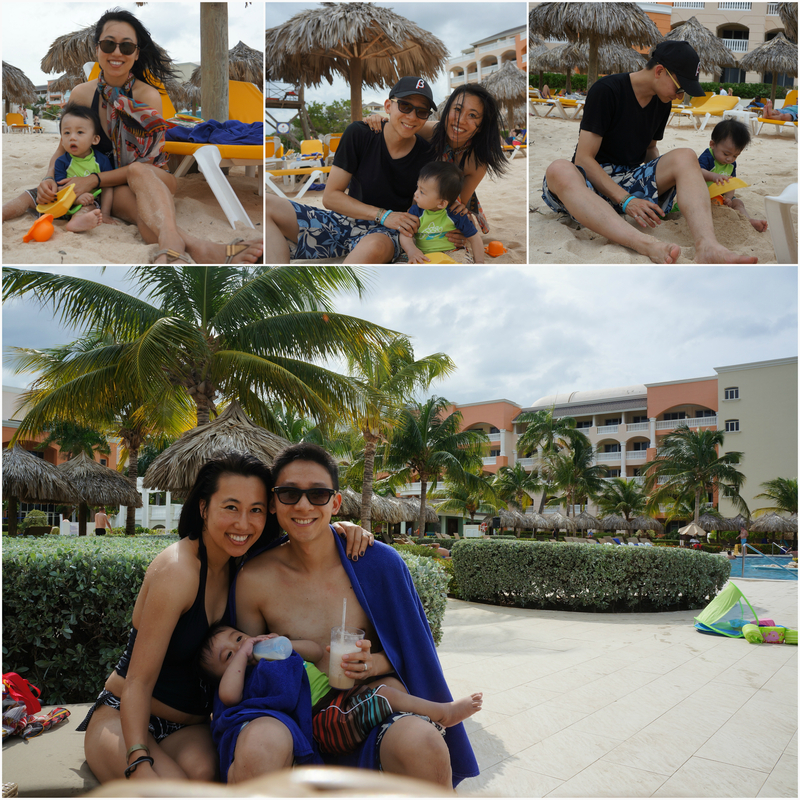 We spent 5 days/4 nights in Montego Bay, and here are our FAVOURITE reasons why we loved our Jamaican trip. 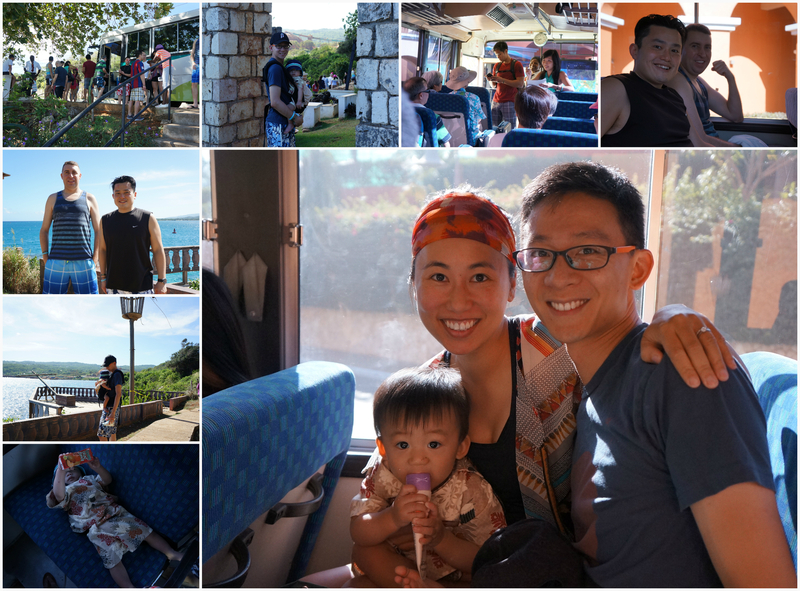 The day before the wedding, the super organized bride and groom coordinated a day trip out to Columbus Park, and Dunn’s Falls. $20 admission gets you into oasis with a natural waterfall where you can hike up – water shoes, necessary! 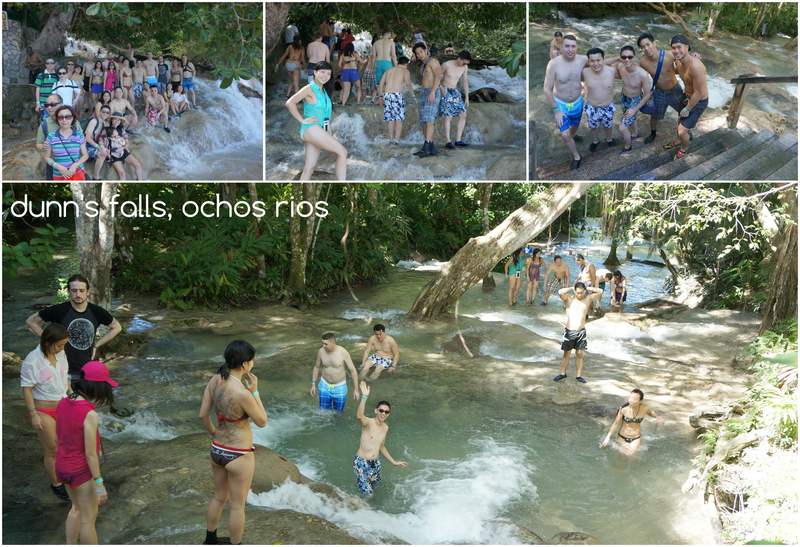 Most groups went up holding hands, and stopped along the way at the pools to take pictures. Or, you can spend time on the beach with the soft rolling waves and sandy beach. Dumpling spent some time digging around in the sand, and face planting in it at least once. 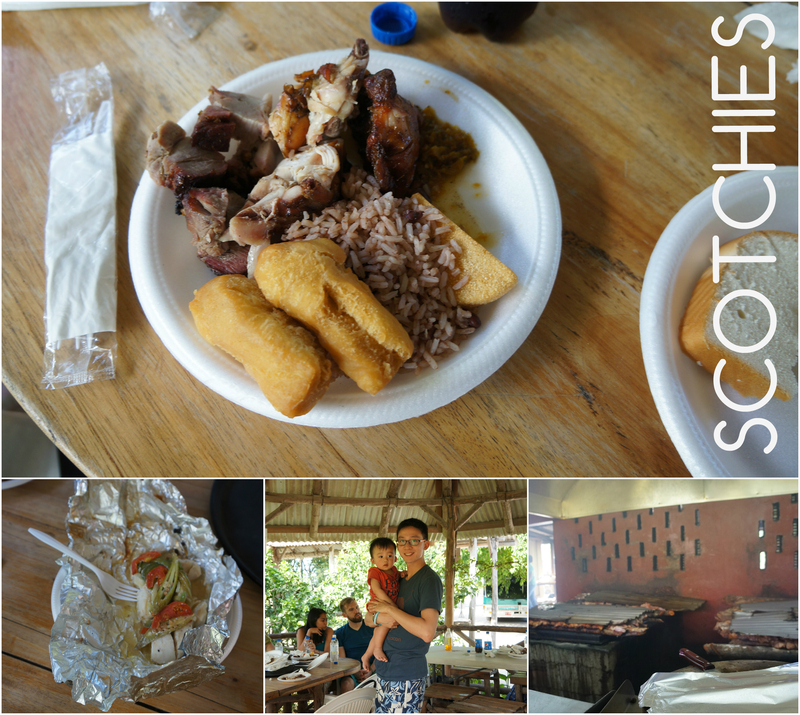 On the way back from Ochos Rios, we stopped off at one of Jamaica’s Scotchies. They are known for their jerk food cooked over pimento wood. Walter tells us that they are pretty authentic, but they have tweaked their recipe to also suit visiting tourists. If you like it hot, ask for the scotch bonnet sauce. After sharing a group order, we can say that we liked it all. Besides the bammy, hardough bread, festival, rice & peas, and fish – we tried the must-tries, jerk chicken and jerk pork. We have to seriously thank Daisy and Walter for 1) getting married in Jamaica, and 2) organizing the whole trip in Jamaica including the stay at Iberostar. Food was good – there was plenty of it, and tons of variety for Dumpling. The suites were massive, and they had a lot of amenities that we didn’t take full advantage of (ie. entertainment, outdoor activities, gym etc). 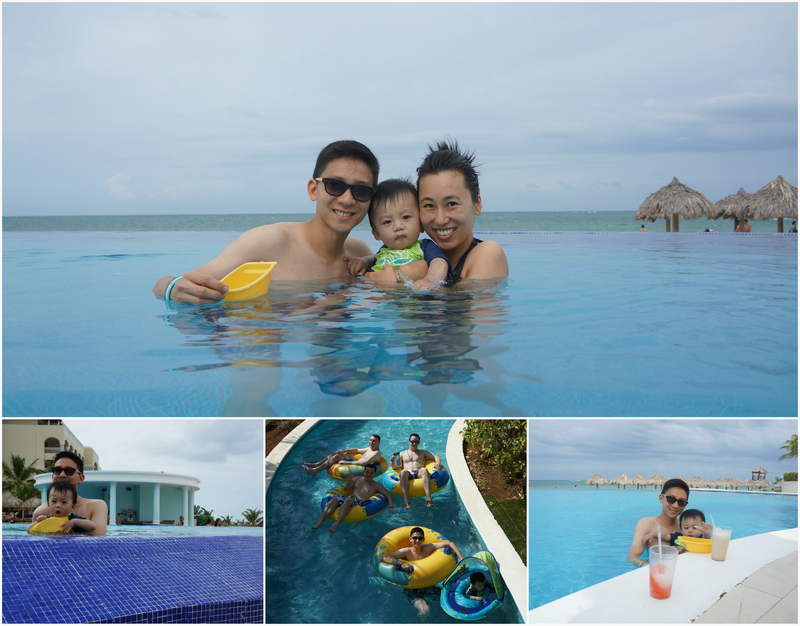 But, we definitely made sure to use the lazy river and infinity pool with…a swim-up bar! It’s kind of cheesy, but it’s fun. These pool pictures? We didn’t really lounge around for too long. We were glad to steal moments here and there to go out since Dumpling napped REALLY well – good 2-3 hour stretches twice a day, so we hung out as a family in our suite a lot. The best part of the trip, the wedding! 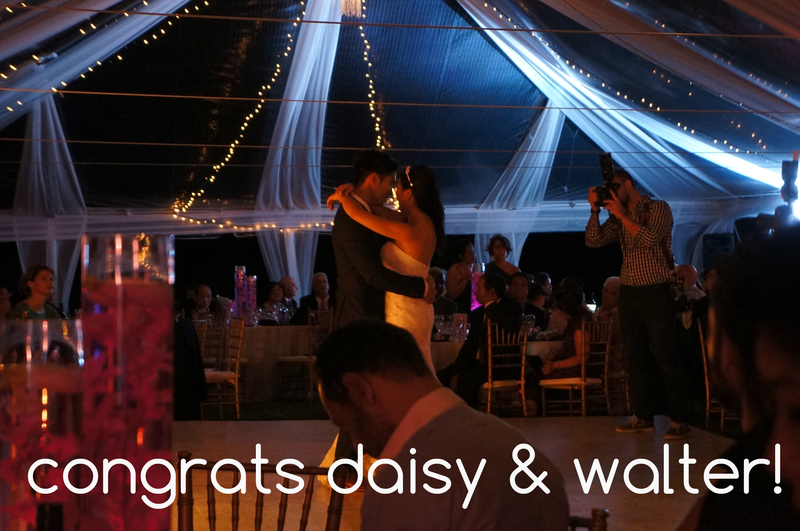 CONGRATS DAISY & WALTER! Icing on the cake: Cy and I got a babysitter towards the end of the evening. Bye Dumpling, hello dancing the night away! One thing to mention, the catering chef was a complete con artist – BOO Chef Collin Brown! How disappointing for the bride and groom who planned and received far less than what they discussed and paid for. Bummer, and it wasn’t fair to Daisy and Walter – but, seriously, they had a beautiful wedding and kept the mood UP the whole night. KUDOS to them. CHEERS to Daisy and Walter. We wish you both a lifetime of giddy happiness, sporty adventures that open your eyes, and many more extra large bubble teas with just-the-right tapioca pearls.